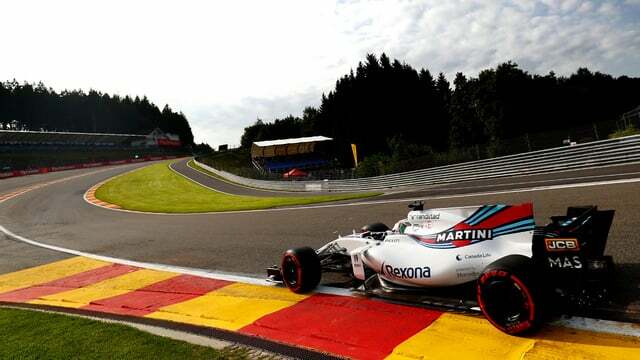 Felipe Massa was back in the car for Williams after sitting out the Hungarian Grand Prix due to illness. After a summer break of recovery, Massa was back fit and fighting, but crashed out of FP1 just 16 minutes in. The driver was uninjured but the car was damaged and required a chassis change, that meant Massa had to miss FP2 in its entirety. Meanwhile, Kimi Räikkönen was fastest in the first session, with Lewis Hamilton behind him, splitting the two Ferrari drivers. Bottas ran through the gravel and touched the barriers but avoided major damage, whilst Kevin Magnussen had headrest trouble and had to pit early. In the second session, rain halted much of the running, although a few hardy drivers did try out the extreme wet tyres. Hamilton was fastest, with a lap set in the dry conditions, Räikkönen second to prove the Mercedes and Ferrari battle is still on.